Organized by Srishti Theatres, the inaugural evening of the festival featured "Bai Chadheira Dena” performed by talented artistes of city-based Naveen Barnali theatre group and written and directed by Naveen Kumar Parida. 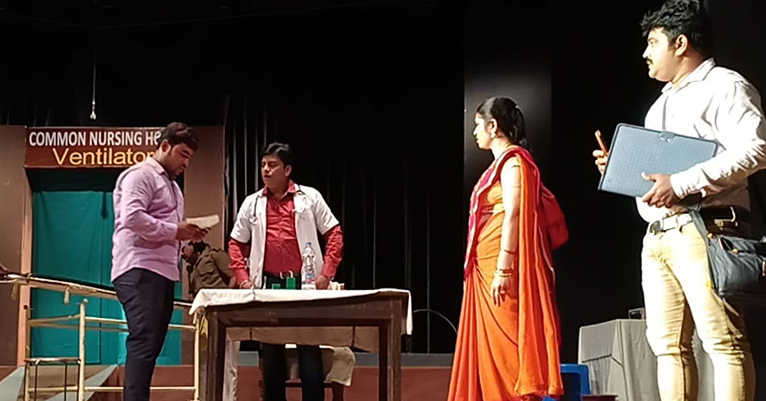 Held at Rabindra Mandap, the play draws a comparison between a sparrow's survival strategies and that of the poor people in the social strata. This explains, no matter how small a sparrow is in size, it ultimately made its nest on the top of the palm tree. Similarly, the downtrodden people in our society can also reach new heights with the right spirit and effort. Theatre lovers of the city are in for a treat as artistes are showcasing such comical yet meaningful plays.